After hearing about it and missing out on the event last year I decided I’d head down and check it out. 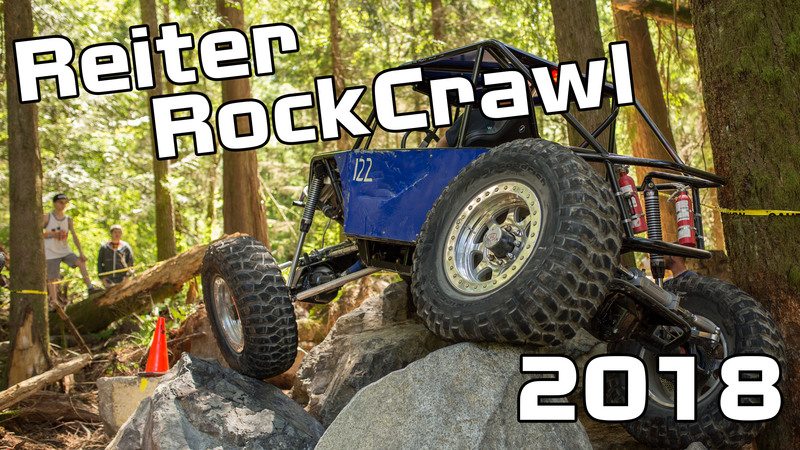 Doing a bit of research into the July 14th event I learned that the competition takes place at Reiter ORV Park, located just outside of Gold Bar, Washington. A quick look on the GPS told me that Gold Bar was only 2.5hrs from the Peace Arch border crossing, which was very welcome news as most of the events I cover are 10-30hrs drive from Vancouver Island! With its proximity to the Canadian border there was 7 different Canadian teams out of more than 40 teams participating in the event. Arriving on Friday afternoon I got a chance to talk with the organizers of the event and get a bit of backstory on the Reiter ORV Park. The park has been around for decades but years of neglect and a lack of policing caught up, leading to people driving in creeks and rivers, dumping, tweakers and all of the bad things that go on in an unmanaged and ungated forest. The entire area was locked down in 1996 with access strictly limited to keep the undesirables out. Fast forward twenty years and Reiter is “back” with a whole new selection of designated trails and more being built all the time. When I originally heard that the park consisted of “manufactured trails” my mind automatically jumped to concrete culverts and medians and shock-crete laid out in a flat area. I could not have been more wrong, what manufactured trails actually mean is they took existing trails and routes through the dense rainforest and dumped massive boulders into the trees and organized them into some of the biggest nastiest rock crawling trails I have ever seen. With the DNR (Department of Natural Resources) supplying the boulders and an excavator, one of the event organizers has been donating his time to run the excavator and move the rocks into position and design the trails and obstacles. The ORV park is also home to many ancient glacial stones which come out of nowhere as you travel the trails in the dense forest. One of the most well-known stones is called “Candy Corn” as it looks like a 25’ tall version of the treat, which also happened to be Stage 1 for the Unlimited class rigs at the event. The event this year had 2 classes, a “Stock” Class and an Unlimited class with the 37” tire and larger rigs in the Unlimited class and the rest in the stock class. Using a “cone dodging” style rule book with the scoring like golf, lowest score wins and you get points for hitting gates, backing up, pulling winch cable and a few other assorted penalties. There is also bonus gates on each course (including up and over the Candy Corn obstacle.) which count for minus points. Early Saturday morning the parade of rigs started rolling into the ORV park and after an 8am drivers meeting the event was off and underway. The big nasty rocks started taking their toll on the rigs with broken Toyota birfs, transmission issues and even impressively enough a destroyed ring gear in a 14bolt! With three stages to run for each class there was enough time for a charity bbq in the middle of the day before heading back out into the heat to finish off the afternoon. With the 4 wheel steer buggies making it up and over the bonus line at Candy Corn the pressure was on make up points on Stage 2. Initially the easiest looking stage it turned out to be the most difficult, not in terms of carnage, but in terms of timing out as the teams struggled to make their way through the massive rocks in the 10minute timeline. On to Stage 3 with a very tight corner and a big stepped ledge to get through the first gate which proved too much for multiple rigs, while others climbed up with easy. The big climb lead to another rock garden before finishing with another steep climb out of a car sized hole. After the dust settled there was only points separating the top 3 teams and only a single point between 1st and 2nd place but Canadian Tom Sanford in his newly finished Volvo powered 4 wheel steering took home the win over 2nd place Wayne Mortensen and 3rd place Steve Cobb.